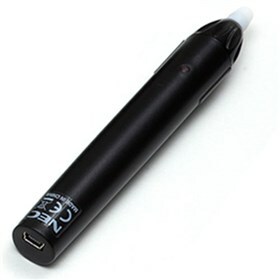 The NEC NP02PI is an interactive stylus pen for the NP03Wi interactive camera module. This stylus pen performs every function that can be normally done using mouse, including annotate and left-click. It is powered by an integrated battery, which is rechargeable via any standard USB charger. Pen can be continuously used for four hours by charging it for just three minutes. The NEC NP02PI has many exciting features for users of all types. The NEC NP02PI is sold as a Brand New Unopened Item.